...allowed the students to hear the testimony of a witness and see the analysis of cell phone video taken during the crime. 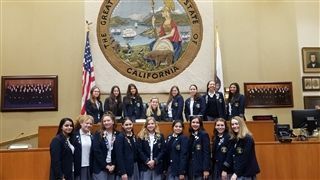 The students also observed a domestic violence case and held a mock trial in the beautiful ceremonial courtroom. 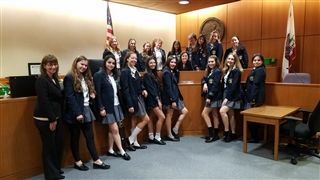 The judges of those trials enthusiastically welcomed our students, and spent part of their lunchtime speaking with them about their career. Our visit was a valuable and exciting look at the everyday work going on in our courthouses to ensure that our legal process is carried out fairly and thoroughly. Thank you to all who made this day possible.